Running back Chad Young scored twice for the Stallions and Mike Pharion returned a fumble 20 yards for a touchdown 61 seconds into the game as DeSales advanced to the State Final Four. 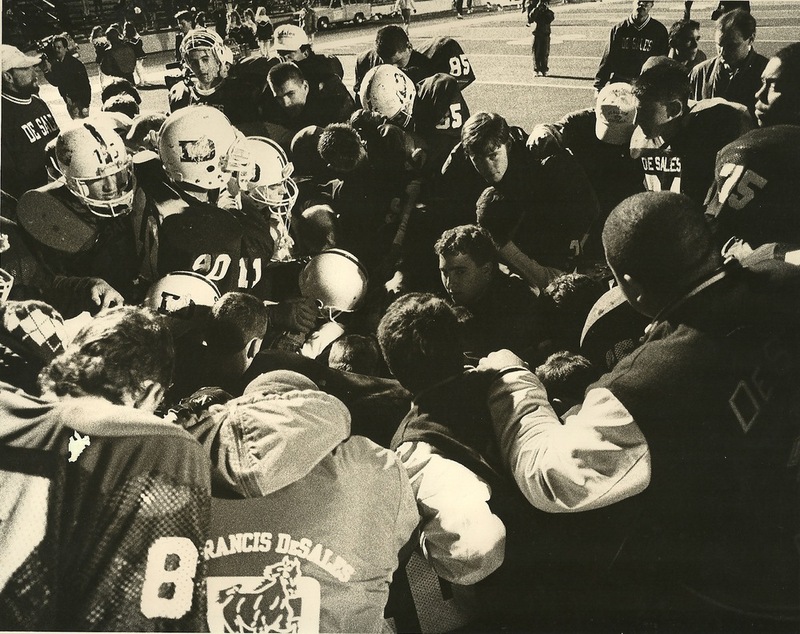 We encourage team members, parents, alumni and/or fans to share their photos or favorite memories about the 1990 DeSales Football team. Click on the button below to submit your favorite memory! Submit your favorite memory about the 1990 Football Team!